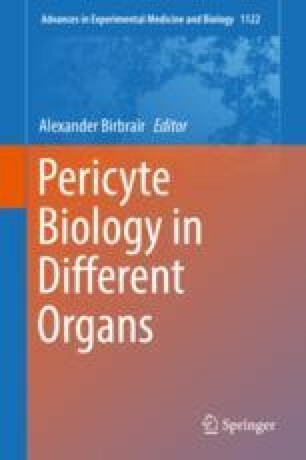 Capillary pericytes in the cochlea of mammals are—compared to pericytes in other tissues, like the CNS—relatively poorly researched. To begin with, there is still a considerable debate as to whether the very last precapillary arterioles should—due to their contractile properties—may be considered to be pericytes. Formation of the intrastrial blood-fluid barrier—Pericytes monitor the ion, fluid, and nutrient household and aid in the homeostasis thereof. Regulation of cochlear blood flow—By contraction on relaxation, pericytes contribute to the regulation of cochlear blood flow, a paramount function parameter of the cochlea. Immune response—Pericytes actually contribute to the immune response in inflammation of the cochlea. Due to these central roles in the physiology of the cochlea, pericytes actually play a major role in numerous cochlear pathologies, including, but not limited to, sudden sensorineural hearing loss, acoustic trauma, and inflammation of the cochlea.